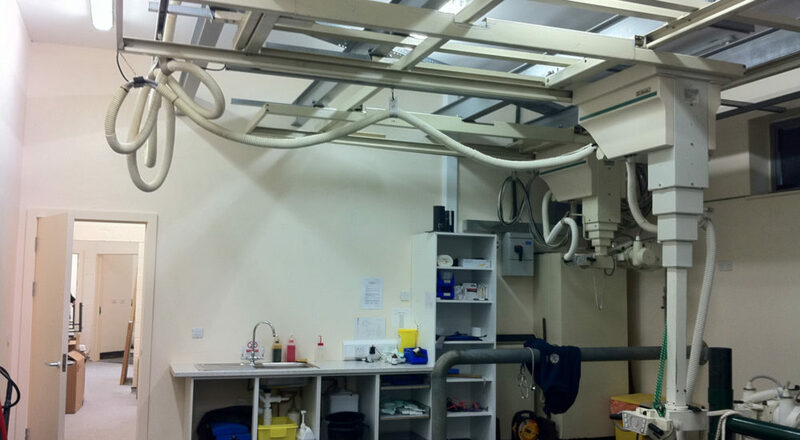 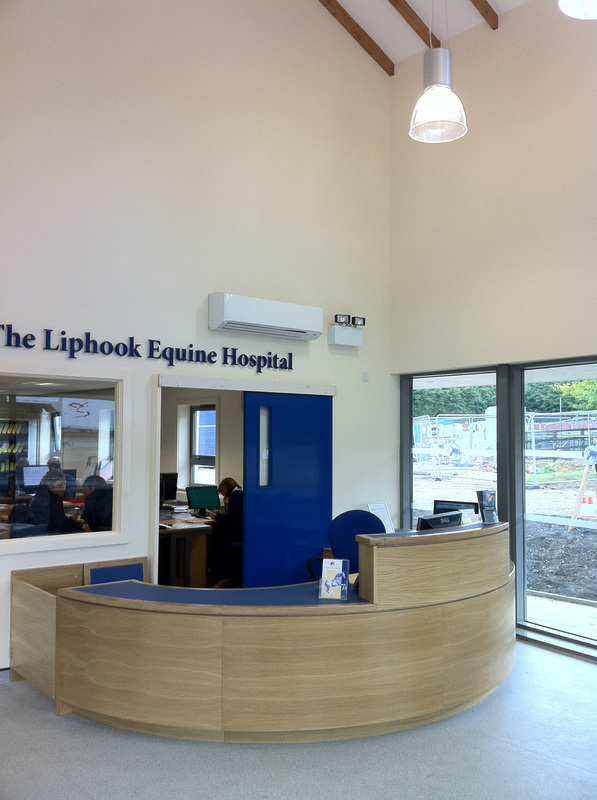 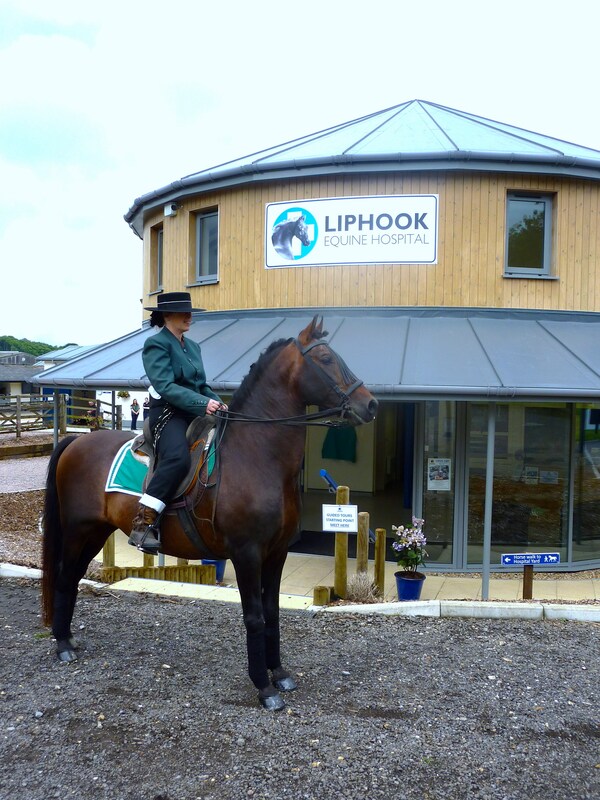 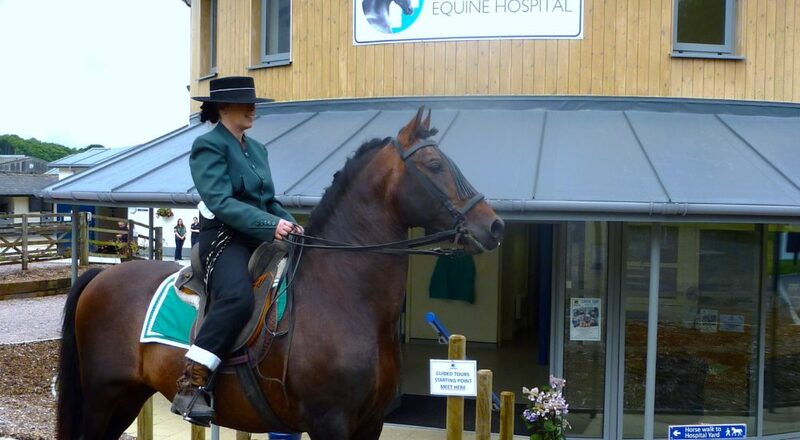 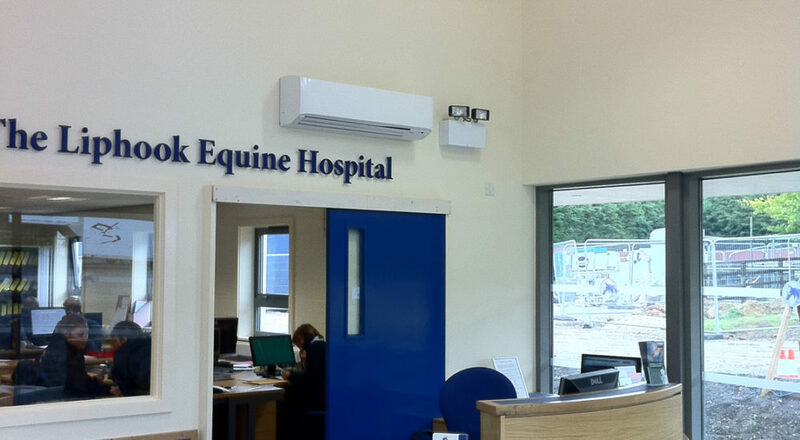 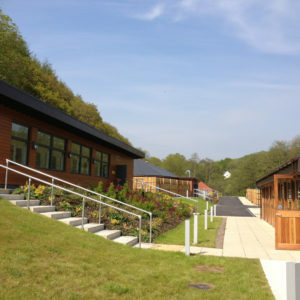 What is now known as the Liphook Equine Hospital started life as a purely equine practice in the 1970s and grew steadily both as a specialist equine practice and as an equine hospital until, in 2009, the partners decided to embark on a large capital rebuilding programme. 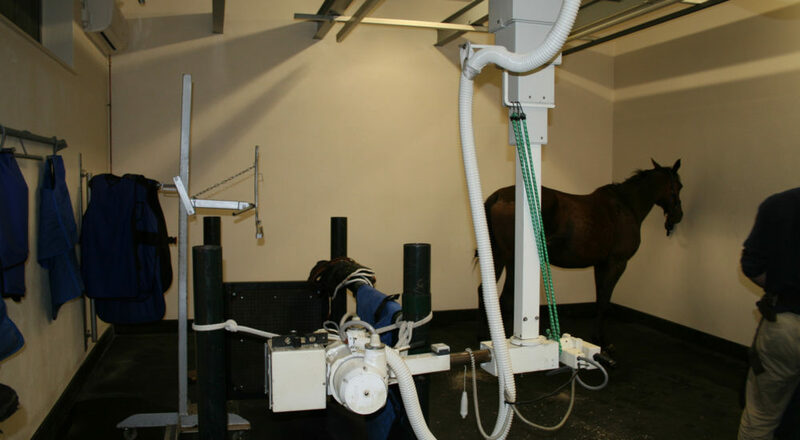 By this stage the practice had evolved into three inter-related, component parts which were the Ambulatory Practice, the Referral Hospital and the Equine Laboratory. 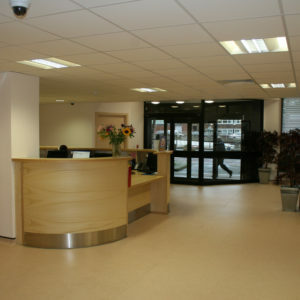 Over 80 staff members work with from the site which provides true 24/7 nursing cover to all of their 50 in-patients. 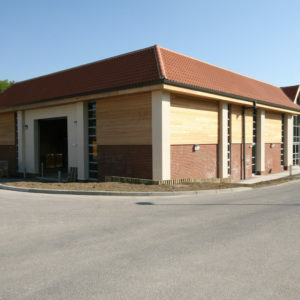 In 2009 the lease was extended for 40 years, allowing planning to start on rebuilding. 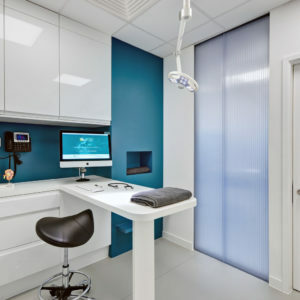 The partners’ declared objective was that the complete overhaul of their four acre site must ensure that they offered state of the art facilities while crucially, providing a better environment for their patients, their visiting clients, and just as importantly, for all members of their team. 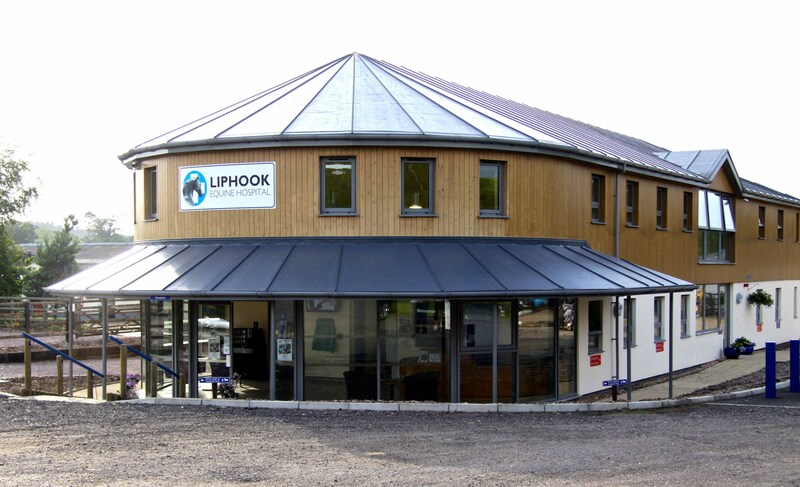 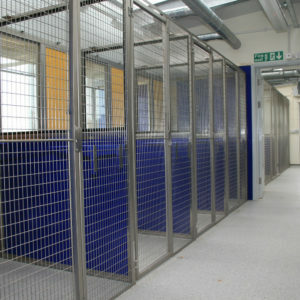 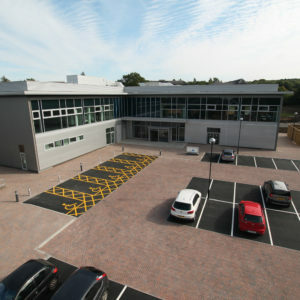 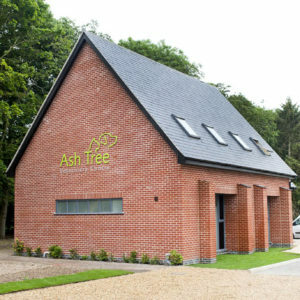 We (Agora Management at the time) were chosen to both design and manage the project and we worked closely with Liphook’s Managing Partner Jeremy Mantell to ensure that the partners’ aims were achieved and that their budget was not exceeded; we were successful on both accounts, despite the major challenges to restrict aspirations to a fixed budget. 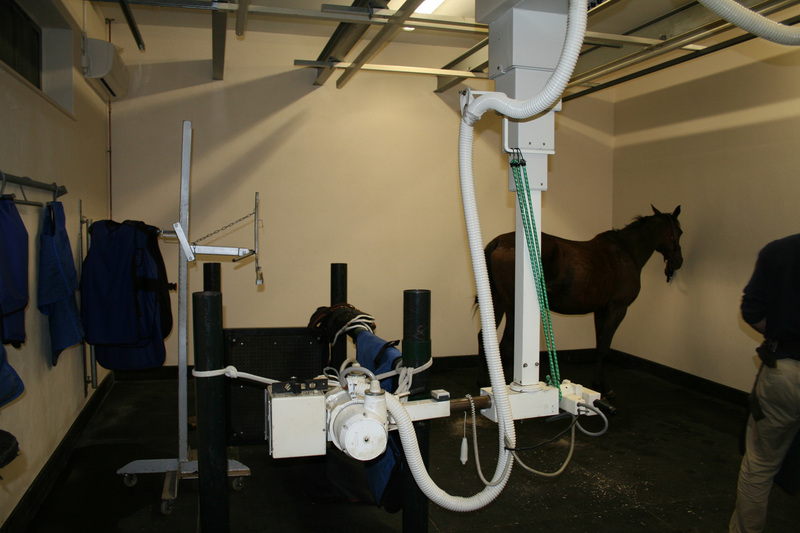 Another major challenge was that the 24-hour Equine Hospital had to remain in full operational use, be it emergency or elective, throughout the programme and this was achieved. 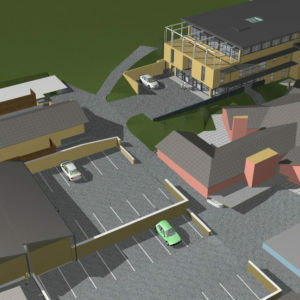 Various designs were considered before the chosen version was put before the planners. 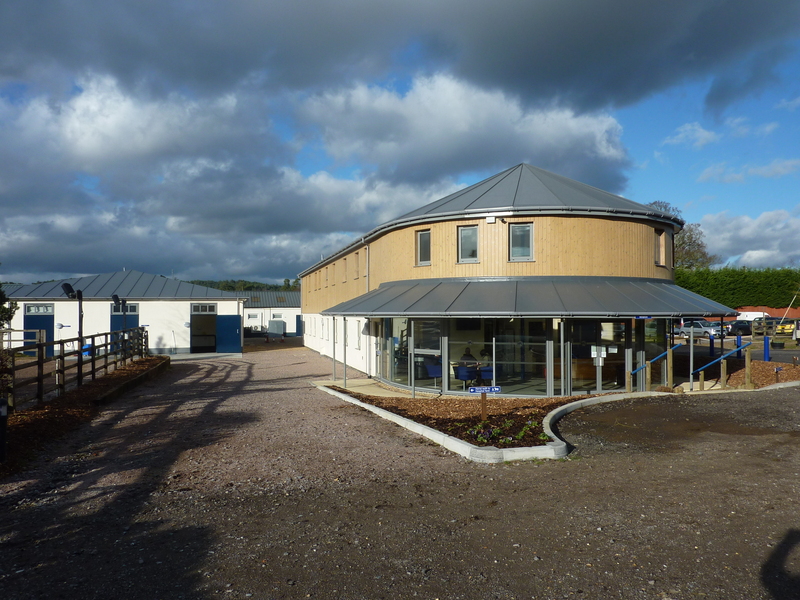 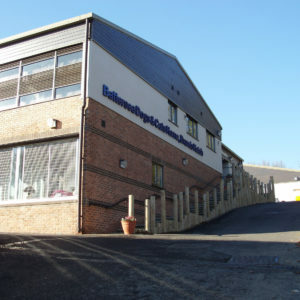 Having by this stage already completed a new MRI suite and a new access drive, the options selected were for a round-fronted, half-timbered two storey Administrative building with a large, airy and uncluttered client reception, without commercial displays. 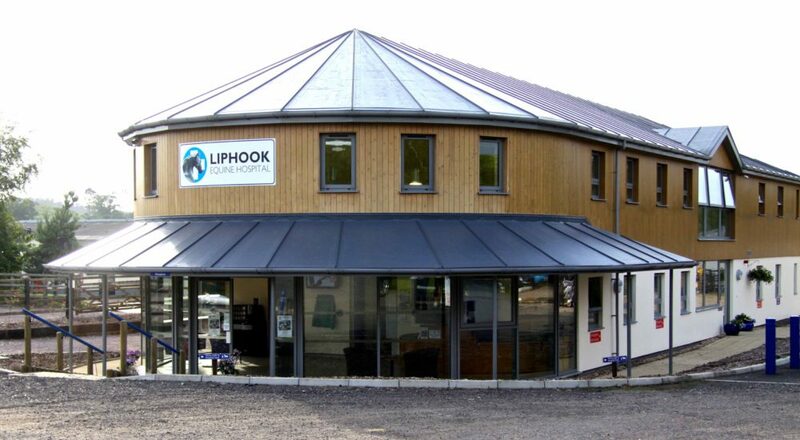 This round-ended building has rapidly become the iconic image of Liphook Equine Hospital. 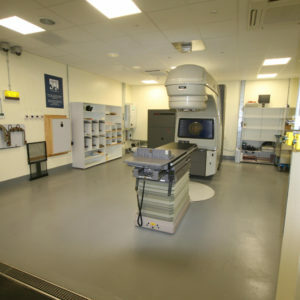 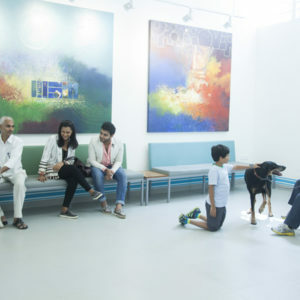 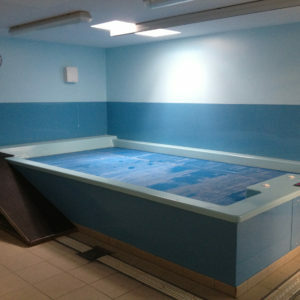 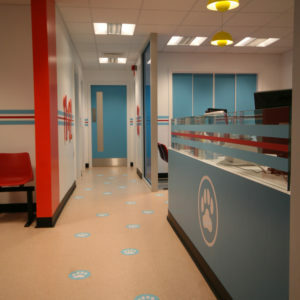 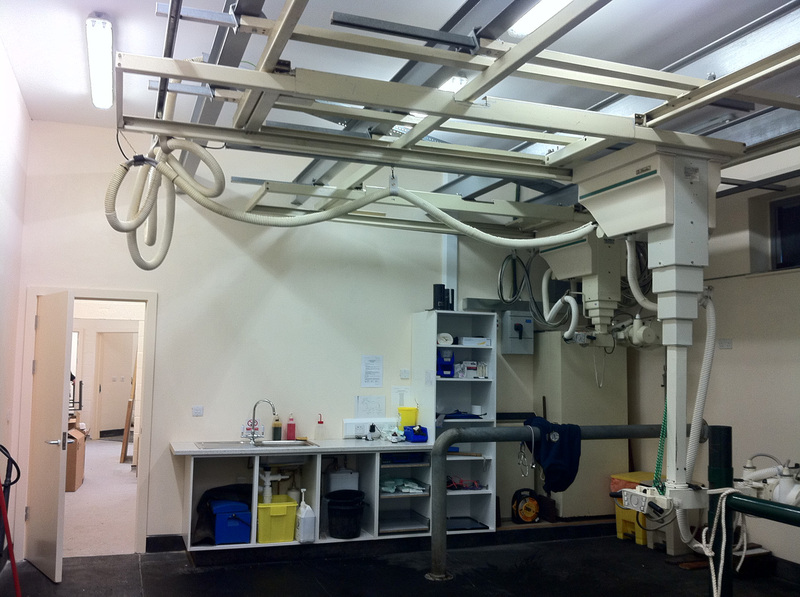 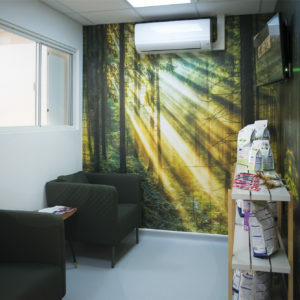 Additionally the development included a standalone diagnostic building of five examination and X-ray rooms around a spacious nurses’ preparation area. 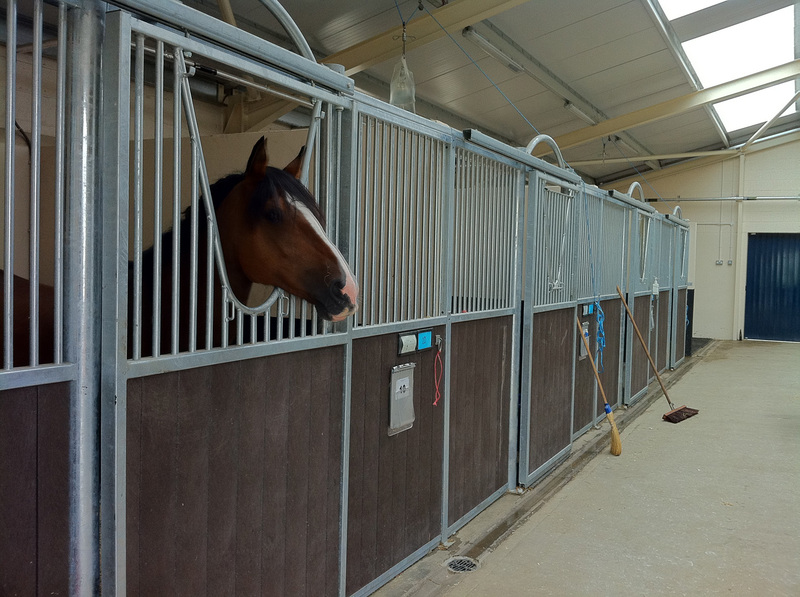 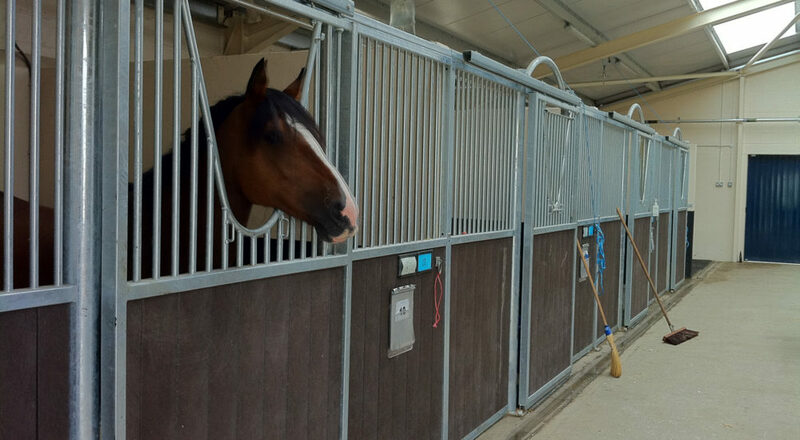 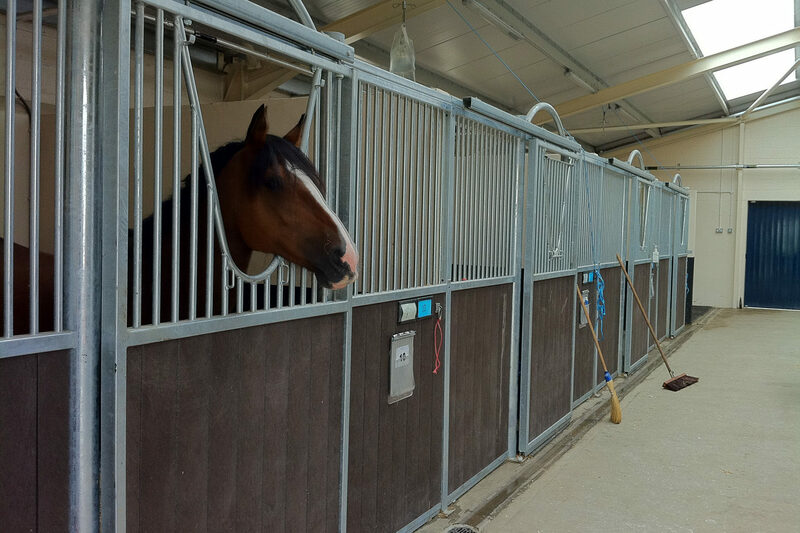 A new American barn was also designed to provide additional indoor stabling but which would be able to be finished early in order to serve as a temporary ICU facility while the dedicated ICU Ward (ten stables and nurses’ office and prep area) was completely rebuilt. 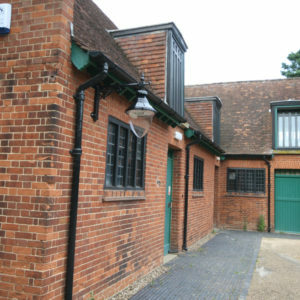 The old vets’ offices were converted back into accommodation for the duty Housevet and new shower rooms were made so that bicyclists and runners could freshen up before work. 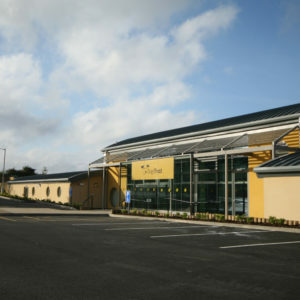 Landscaping of the site provided new staff parking areas, an enlarged clients’ lorry park, two loading ramps and automatic entrance gates to provide a secure perimeter. 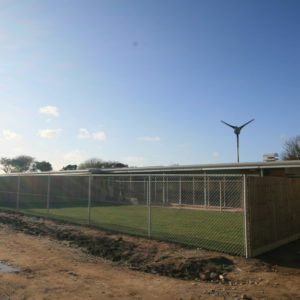 Although the project took a little longer than intended, primarily due to weather delays, the clients remained delighted by the end result which more than achieved their objective. 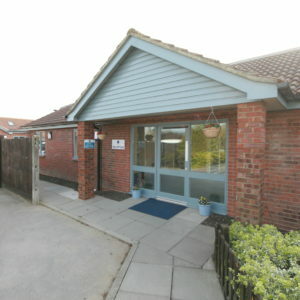 All members of staff now have a far better working environment and their clients appreciate the more welcoming, spacious and less crowded facilities. 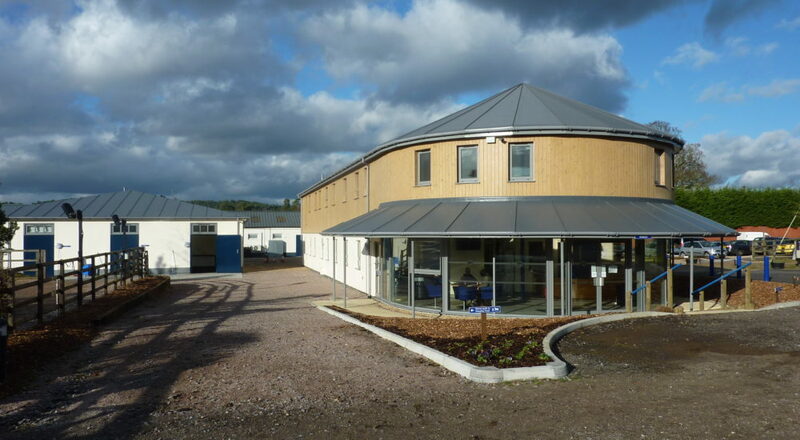 This facility also won the 2013 BVHA Practice Design Awards.